In lieu of flowers memorial donations may be made to First Baptist Church and left at the funeral home. Freda Beatrice (Potter) Flint, age 88, of El Dorado Springs, MO, passed away April 7, 2019, at Community Springs Healthcare Facility in El Dorado Springs, MO. Freda was born March 15, 1931, in Dade County, MO, the first daughter of Arthur and Freda Potter. She graduated from Dadeville High School in 1949. She then attended Southwest Missouri State College in Springfield, MO, for a short time. 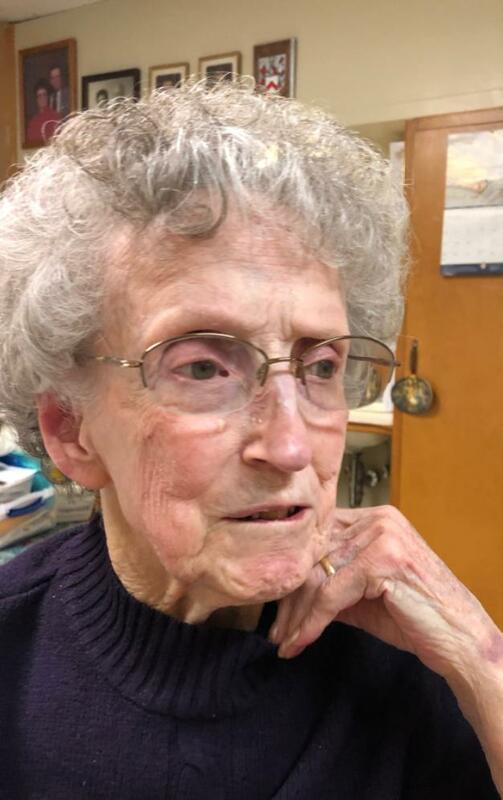 Freda began her career teaching in a one room school, where she taught until she was offered a position at Schell City Public School teaching 5th and 6th grade. In October, 1951, while teaching in Schell City, she met Chester Flint of Harwood, MO. They were married February 1, 1952. Freda and Chester were married for nearly 50 years and to their union were born three children. While her children were young, Freda was often a substitute teacher at Schell City Public School. In the 1970s, she returned to work full time, this time working in the school office. She continued working in the office for many years, eventually retiring from Northeast Vernon County School after nearly 35 years of service. Freda was a woman of great faith in Jesus Christ, having accepted Jesus as her Savior as a young girl. She took every opportunity she had to share the gospel. Her favorite Bible verse was Micah 6:8, "He has shown you, O man, what is good; And what does the Lord require of you but to do justly, to love mercy, and to walk humbly with your God?" She was a member of First Baptist Church in El Dorado Springs, MO. Freda was an extremely talented seamstress and an avid reader. She loved traveling and researching her family history. She also enjoyed creating original artwork with colored pencils and crayons. Freda was a member of the Elizabeth Carey Chapter of the Daughters of the American Revolution. She was also a member of the First Families of Tennessee. Survivors include her three children: Larry Flint and wife Terri of El Dorado Springs, MO; Roger Flint of Shawnee, OK; and Karen Miller and husband Ron of central Missouri. Also surviving are her seven grandchildren, five great grandchildren, and many nieces, nephews, and friends. Freda was preceded in death by her husband, Chester Flint; her father, Arthur Potter; her mother, Freda (Farmer) Potter, three brothers, George, Gene, and John; and one sister, Lola. Memorial services for Freda Flint will be held on Thursday, April 11, 2019, at 10:00 a.m. at Bland-Hackleman Chapel. The family will receive friends from 9:00 a.m. until service time at the funeral home. Arrangements are under the direction of Bland-Hackleman Funeral Home.